This book constitutes the refereed proceedings of the 16th International Conference on on Applied Cryptography and Network Security, ACNS 2018, held in Leuven, Belgium, in July 2018. The 36 revised full papers presented were carefully reviewed and selected from 173 submissions. The papers were organized in topical sections named: Cryptographic Protocols; Side Channel Attacks and Tamper Resistance; Digital Signatures; Privacy Preserving Computation; Multi-party Computation; Symmetric Key Primitives; Symmetric Key Primitives; Symmetric Key Cryptanalysis; Public Key Encryption; Authentication and Biometrics; Cloud and Peer-to-peer Security. Coders are the people who are building the future. You can stake your own claim on the future by learning pro coding techniques. 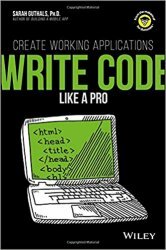 Take a look inside to figure out how and why coders think a bit differently, the basics of building a working application with a professional coding language, and how to test your app to make sure it works. Get a jump on your future as a rock-star coder today! Why just play videogames when you can build your own game? 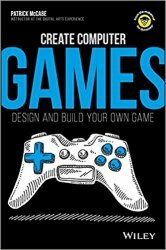 Follow the steps in this book to learn a little about code, build a few graphics, and piece together a real game you can share with your friends. Who knows? What you learn here could help you become the next rock-star video- game designer. So set your controller aside and get ready to create! Язык программирования Python является оптимальным выбором для исследователей-аналитиков, поскольку позволяет создавать прототипы, визуализировать и анализировать наборы данных малого и среднего размера. Бесчисленное количество предприятий обращается к Python для решения задач, связанных с выявлением особенностей поведения потребителей и превращением исходных данных в действенную информацию о клиентах. 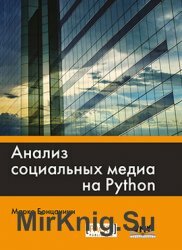 Настоящая книга рассказывает, как с помощью научного инструментария Python получать и анализировать данные из наиболее популярных сетей, таких как Facebook, Twitter, Stack Exchange и др. В русскоязычное издание добавлено приложение об анализе данных из сети «ВКонтакте». 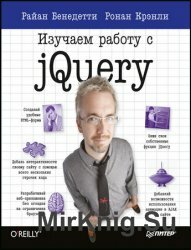 Год: 2006 - 2-е изд., испр. и дополн. Книга является простым и доступным для широкого круга читателей пособием по разработке 32-разрядных программ для систем Windows на языке C++. Рассмотрены основные особенности архитектуры защищенного режима процессоров Intel, дано введение в язык C++, описаны принципы составления прикладных программ для Windows. Автор: Бенедетти Р., Канли Р. 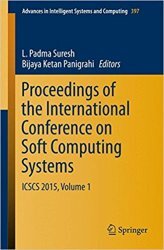 The book is a collection of high-quality peer-reviewed research papers presented in International Conference on Soft Computing Systems (ICSCS 2015) held at Noorul Islam Centre for Higher Education, Chennai, India. These research papers provide the latest developments in the emerging areas of Soft Computing in Engineering and Technology. The book is organized in two volumes and discusses a wide variety of industrial, engineering and scientific applications of the emerging techniques. It presents invited papers from the inventors/originators of new applications and advanced technologies. Considered one of the most innovative research directions, computational intelligence (CI) embraces techniques that use global search optimization, machine learning, approximate reasoning, and connectionist systems to develop efficient, robust, and easy-to-use solutions amidst multiple decision variables, complex constraints, and tumultuous environments. CI techniques involve a combination of learning, adaptation, and evolution used for intelligent applications. 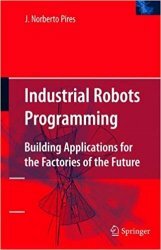 Industrial Robots Programming focuses on designing and building robotic manufacturing cells, and explores the capabilities of today’s industrial equipment as well as the latest computer and software technologies. Special attention is given to the input devices and systems that create efficient human-machine interfaces, and how they help non-technical personnel perform necessary programming, control, and supervision tasks. 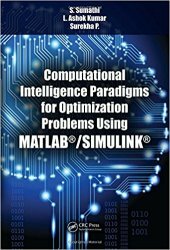 This book presents the state-of-the-art in supercomputer simulation. It includes the latest findings from leading researchers using systems from the High Performance Computing Center Stuttgart (HLRS) in 2016. 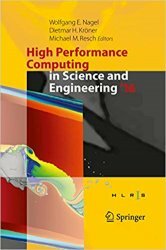 The reports cover all fields of computational science and engineering ranging from CFD to computational physics and from chemistry to computer science with a special emphasis on industrially relevant applications. Presenting findings of one of Europe’s leading systems, this volume covers a wide variety of applications that deliver a high level of sustained performance.